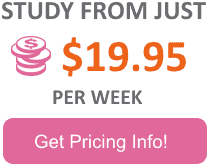 Use of this website will constitute agreement of the Terms and Conditions and will form a binding agreement between you and Beauty Courses Online Pty. Ltd (BCOL) as governed by the laws of Victoria Australia. It is a condition of the use of the BCOL website and services, that you warrant and agree not to use the BCOL website or services for any purpose that is unlawful, prohibited or not intended. Your personal password and log in details to any of our services, student content platforms or portals must not be given to a third party and you must now allow any other person to use your log in information. You are not permitted to offer the login information or access to the Student Content platform as part of a sale of the course or for any other reason whatsoever unless you obtain prior permission in writing from Beauty Courses Online…Unauthorized use of this website may give rise to a claim for damages and/or be a criminal offence. Any suspected or unauthorised use of your log in details must be reported to us immediately. The content of this website is subject to change without notice. It is the responsibility of the user to review it periodically for any changes. Treat any material submitted by you as non-confidential and non-proprietary subject to any applicable law. BCOL is the owner of Copyright of all materials published on this site. The copyright material on this site is subject to Australian Intellectual Property Law and may not be copied or reproduced in any part without the prior written consent of BCOL. You may not use the BCOL website in any manner which could interfere with any other party’s use or damage or disable the website. The information on this website is not intended as professional advice but provided as general information only. Before entering into a transaction it is your responsibility to make enquiries and seek independent advice to ensure this course will meet your specific requirements. BCOL makes no guarantee as to the usefulness or appropriateness of the information offered and does not guarantee employment upon completion of any of our courses. 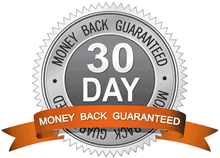 BCOL offers a full 30day no questions asked money back guarantee. You are free to examine the course material for 30 days, if it is not satisfactory to your needs you will notify BCOL of your intention to cancel and the DVDs must be returned (by registered mail) and received before the 30day period in original condition. Once the DVDs are received by BCOL a full course refund, less shipping costs will be processed. *** As of 1st January 2018, we will no longer be providing the course DVDs – the course will be delivered exclusively by online streaming. 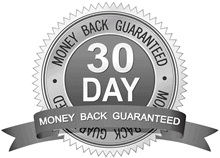 Any courses sold after this date are not required to return DVDs to qualify for a refund within the 30 Day Guarantee Period. All online resources and help will be withdrawn and not available for further use. It will be deemed that any students that has either passed their online exam or received their Certificate of Completion agrees that the course was suitable to their needs and is not entitled to any refund in part or in full. It is agreed that BCOL will not be liable for any indirect, special, consequential or incidental loss or damage of whatever nature arising from the use of this website or content provided by BCOL including any act or omission by BCOL.